In order to serve you better the Perkiomen Valley Library (PVL) is striving for Gold Star status. PVL has earned the SILVER star and is working towards the next level, the GOLD star. These five Literacies have been identified as areas that help Pennsylvania’s citizens, parents, students, employers, employees, and consumers succeed. For each identified literacy goals have been created. The goals will enable the library to focus its services and programming to help the public achieve success in these vital areas. 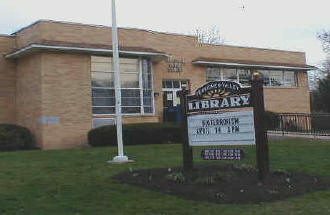 Basic Literacy – Libraries can push Pennsylvania to achieve one of the highest literacy rates in the country, a trained and skilled workforce, and a growing economy, tax base, and population. Databases accessible from home or the library for resume writing and job searching. Information Literacy – Libraries can help all Pennsylvanians learn how to use online resources and current technology to improve their education, to enhance their job skills, to develop their personal lives, and to fully participate in a digital society. Databases accessible from home or the library for resume writing, job searching and research. Civic and Social Literacy – Libraries can play an important role in helping citizens have the knowledge and skills they need to improve their lives, to participate and contribute effectively to their community, government, and society, and to connect with one another through discourse. Special events—Stars Wars & Harry Potter Parties, Preschool New Year, Cat in the Hat, Used Book Sales…. 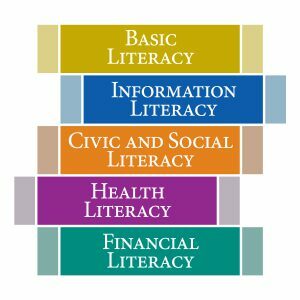 Health Literacy – Libraries can play an important role in helping citizens manage their own and their family’s well-being, and empower them to be effective partners with their healthcare providers so they can live longer, more productive lives. Books and resources on health issues. Financial Literacy – Libraries can help citizens become informed consumers and guide individuals, small businesses, and other organizations to contribute to the economic vitality of their community through innovation, entrepreneurship, and economic development. Free access to ReferenceUSA and other great databases to support business opportunities. Books and other resources on money management. FREE resources at the library on a variety of subjects.